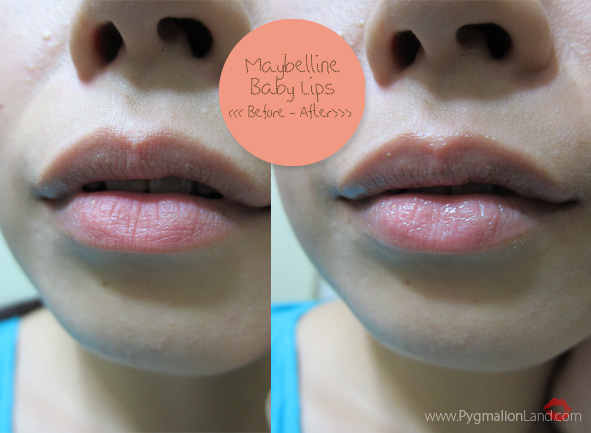 As a lip balm fiend, currently Maybelline Baby Lips is my best friend. It claimed with 8 hour hydration, formulated with Centella Essence and SPF 20.
use it for 4 weeks in a row to see the final result for plump & smooth lips. before recently become a hit in Indonesia and goes crazy. - 8 hour hydrate? in my case, no it's not. @DocCii N Sista : which lipbalm did you use for winter? seeking desperately for my november trip to japan. @XiaoVee : iya packagingnya sama persis kaya yg di indo, kalau yang australia sama US baru beda. di Indo harganya berapa ya? I used Nivea since late fall then continued with Clinique Superbalm when it's getting dryer. To make my lips less flakier, I do gentle scrubbing on my lips every single night on winter days. Hehehe. That works for me. Have you try lucas papaw ointment? I heard that is good for winter.